← 16. OCR Investigation Is Complete. Back to The Neighborhood School! I soon realized that we as parents had no established vehicle to participate in the decision making process on a district t or even site based level. I read about the passage of Goals 2000. (GOALS 2000 – Educate America) It was an approach to site based educational reform using the creation of School Advisory Councils (SACs) that represented the diversity of the population that attended the school. The schools received some funding based on the school improvement plan developed by the SAC. I decided to conduct an informal survey of my own and selected ten schools at random to call. I requested to be provided with the name of the person representing students with disabilities. The results confirmed my suspicion that, once again, disability had been excluded from the process as not one SAC contained a parent or educator representing children with disabilities. This afterthought, when considering the disability community, is a pattern I saw repeated again and again over the years. If you aren’t at the table you are not counted. I began to do some research looking at different models in existence. There were a variety of parent coalitions in place in other parts of the state but none that seemed to fulfill what it was I felt we needed. Although parents of students in ESE back then were referred to as the “parents stirring up trouble”, looking back I think we would have fit into the description of a parent coalition. My son settled down into the normalcy of being an elementary student and becoming a part of his school once more. It was time to focus on the task I had accepted as the Area Training Coordinator for the parent Training and Information Center (Parent Center Network). I was taking phone calls from parents and setting up and presenting workshops on IDEA topics for them. The Superintendent was then charged with carrying out the Board directive. He turned to the Special Education Director assigning her that task. Things had not gone well for her in the eyes of the district. The decisions that to this point were creating a major embarrassment to the school board were deemed her responsibility and before long it was announced that she was accepting a new position and being replaced. I will say her replacement was a noticeable improvement. The forming of the advisory became her responsibility. I participated initially with that process and then moved on to other issues and really began to dissect written policies. It was obvious she had been charged to rein in those parents and still the raging waters. One of the things she did was to offer me employment as the Parent Liaison. It paid considerably more than the position I had with the parent center but would come with restrictions to my advocacy. I respectively declined. I was taking calls from parents in a five county area and was becoming aware of issues beyond the county in which I lived. Many of the issues seemed systemic no matter where you lived. I had learned from my first OCR complaint regarding the bus ride for my son that written or unwritten, spoken or unspoken, if it is something you routinely do it is policy and all policies must be consistent with state and federal law. I began a process of zero tolerance for non-compliance. If I saw it happening I filed a complaint, either with the state under IDEA (NICHCY – Filing a State Complaint), or OCR under 504 (OCR – Complaint Process). 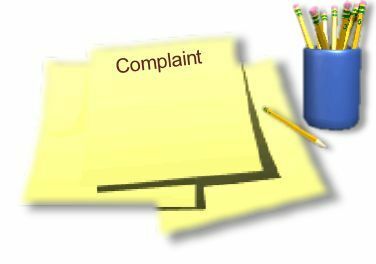 During this period of my career it is worth noting that for the next five years our school district led the state of Florida in the number of complaints filed. This included filing sixteen OCR complaints spaced two days apart. This meant that, for the period of one month OCR received a complaint every other day from our district. Part of that resolution was that they had to have OCR provide in-service training to every building principal in the district and it was to be open to the public. The training was held in a high school and as I walked down to the front I could hear the whispers. That’s him. That’s Hawke. I was a marked man. I had reached success with my own son and was now learning more and receiving training from the Parent Center. As I learned the laws I was also learning the history of where they came from. This entry was posted in Advocacy, Disability, Emotion, Evaluation, Inclusion, Least Restrictive Environment, OCR Complaint, Parent Involvement, Procedural Safeguards, Public School, Special Education and tagged Complaint, Education reform, father to father, florida, Inclusion, NICHCY, OCR, parent involvement, special education. Bookmark the permalink.